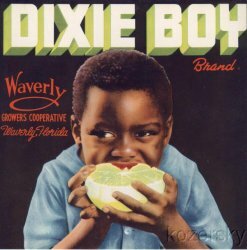 Dixie Boy Brand Vintage Grapefruit Crate Label, Waverly Growers Cooperative, Waverly, Florida. Graphic is of a young African-American boy, eating a grapefruit. Dixie Boy Brand Vintage Grapefruit Crate Label. Original, Dixie Boy Brand Crate Label, from Waverly Growers Cooperative, Waverly, Florida. Graphic is of a young African-American boy, eating a grapefruit. 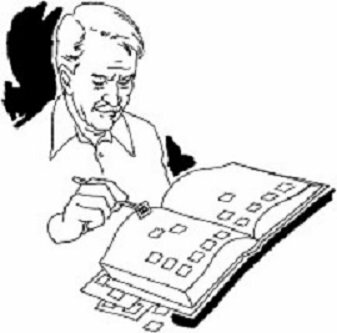 The label measures approximately 9"x9". Although the label is in excellent condition, ready for framing, with no tears or bent corners, there are some minor wrinkles at upper left hand corner, which are more visible from the back.